Atlas Copco’s Series 7 & 8 portable compressors are compact, efficient, economical and easy to operate. They give you a reliable source of compressed air to drive your pneumatic tools, as well as your high free air delivery applications. 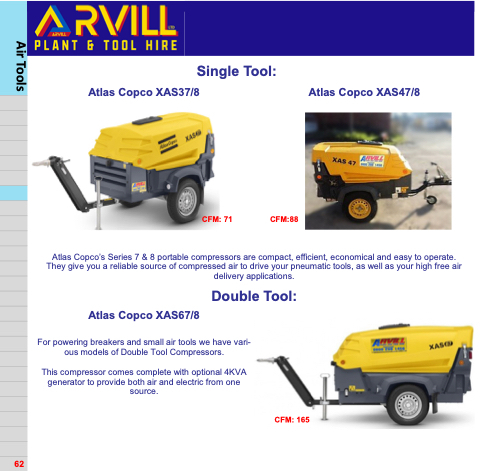 For powering breakers and small air tools we have vari- ous models of Double Tool Compressors. This compressor comes complete with optional 4KVA generator to provide both air and electric from one source.